From Minecraft to Vainglory, Arena of Valor, Critical Ops, Hitman GO and World of Tanks Blitz, the list of 120fps games is surprisingly enticing. And since GameBench is all about rating the quality of mobile products, both on external sites like PocketGamer and on our own Performance Rankings, we can't really ignore 120fps. We have to make a call on it one way or the other. We'd love to hear your views on this if you can spare a moment to leave a comment. In the meantime, we'd like to share three reasons why we think we should adapt our ratings to cover 120fps, even though the technology is still in its infancy. Companies like Razer are already making marketing claims about 120fps, and an important part of GameBench's job is to help people verify these claims. For example, the Brazilian site Tudocelular recently used GameBench to show that many games on Razer's list of 120fps titles don't actually reach this target. Tudocelular recorded a frame rate of 112fps with Vainglory and just 64fps with World of Tanks Blitz. So if we introduced a new "120fps" badge, it might help to quickly show consumers which games and devices really deliver this smoothness. We can't pretend to know the future, but we have some confidence that 120fps is more than just another 3DTV-style marketing blip. As others have suggested, 120fps will make a lot more sense when combined with 5G connectivity, which is due to start rolling out by 2020. 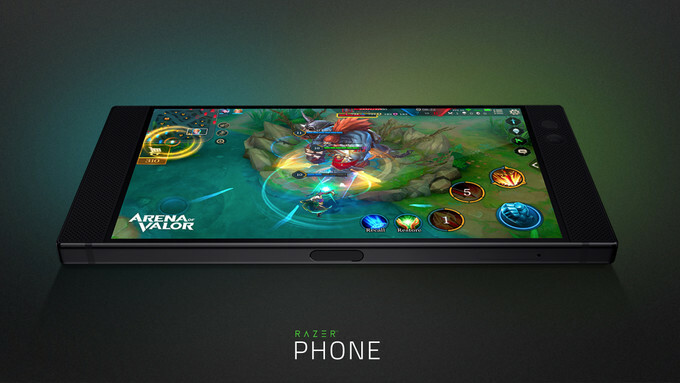 5G will enable better MOBA tournaments and other mobile esports thanks to much lower latency (4G's latency is just not good enough for real competition). It will enable better mobile VR, for example through cloud-rendered 4K graphics, and also better mobile AR, perhaps by sending and receiving enough topographical data to allow sprites to interact intelligently with their surroundings (just imagine playing AR paintball in a forest, against both humans and bots!). All of these types of experiences would benefit more from 120fps than current games do. Although 120fps mobile gaming has probably arrived a couple of years too early, we think the technology has legs because it's symbiotic with the bigger push towards faster and lower-latency mobile connectivity. For this reason, combined with our focus on giving consumers the data they need to evaluate marketing claims and make good purchasing decisions, we think it's the right time to recognise 120fps gaming as something distinct from 60fps. Before we update our ratings though, we'll of course gather feedback from our clients, free users and readers -- so if you have any thoughts on, or experiences of 120fps mobile gaming, now would be a great time to share them.